Soneco uses a low-carbon, low-voltage source of power to obtain the safe and controlled generation of water treatment reagents on-site. Reactive water treatment reagents are metered precisely and directly into the process stream – simply by varying the electric current that is applied to the electrodes, in a controlled and calculated manner. This novel, fast and controllable treatment system uses a state-of-the-art, in-house designed Power Control System (PSU) to ensure fine-control of the system and its ancillaries and ensuring high-efficiency and reliability. 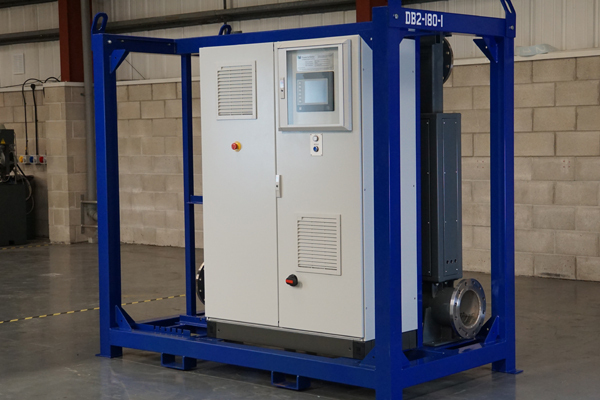 P&W’s high performing, robust and resilient systems originate from extensive knowledge and over 30 years combined experience and expertise in process control, automation, electrical engineering and ultrasound for clean technology developments. Flexibly adjusted to the performance requirement and bespoke to the project at hand i.e. the quality and volume of water to be treated. Output power ranges between 200 and 1500 Amps, depending on application.